Breathe is determined to take good care of your HR data and help you make sense of it all. 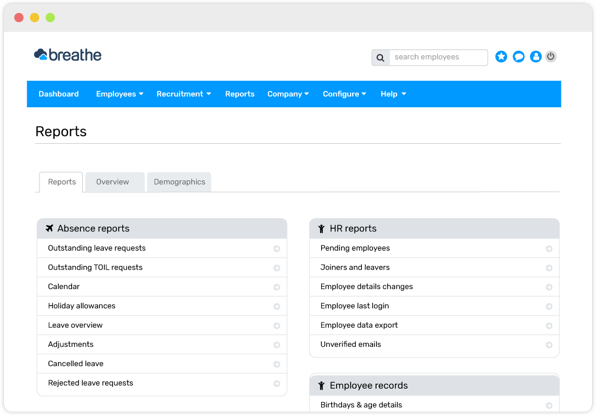 Getting your data in and out of Breathe is easy, and generating reports instantaneously is just one of the many ways our HR system helps you take control of HR admin. Helping you focus on the information you need with filters, Breathe simplifies reports so that you can spot important trends and take action. Getting your employee information and data in and out of Breathe is easy. 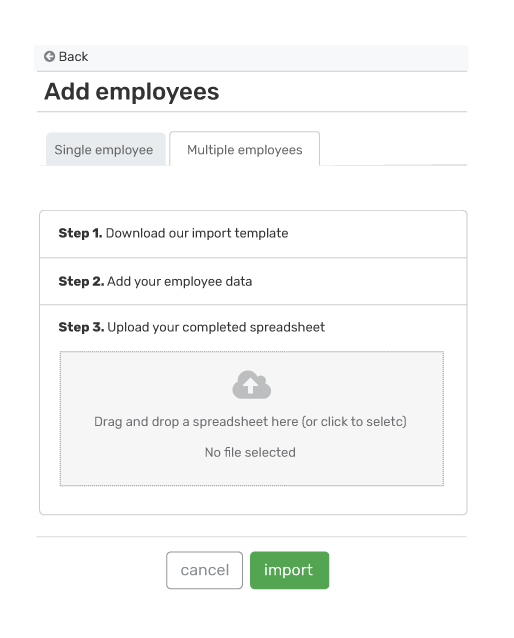 To input multiple employee records into the system, Breathe has a data import tool to make getting started painless. If you find yourself with little to no time to get your employee information organised and into the system, we do offer a concierge service so that you don’t have to do any extra leg work. Should you ever need to export employee data, the export tool makes this happen with just a click. 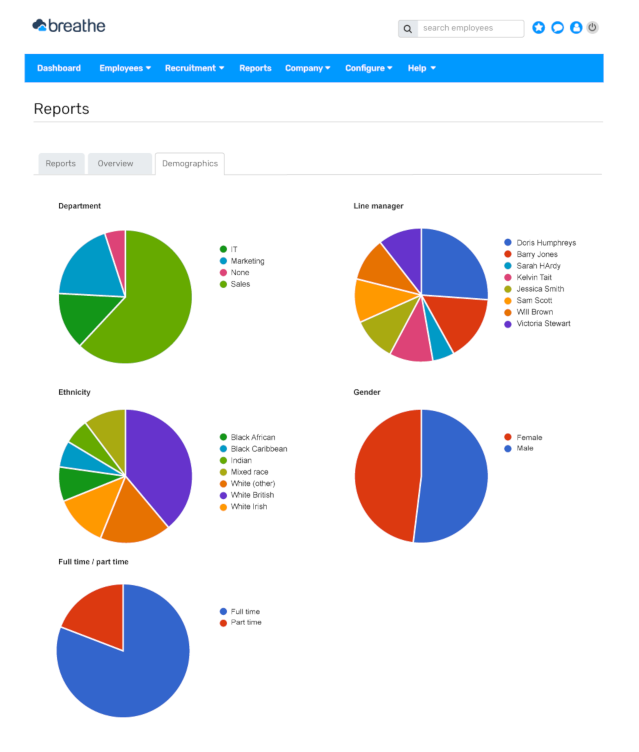 Breathe has a comprehensive reports library giving you the reports and you need to spot trends. Reports can be filtered to show only the information you need to see, and can be exported to excel with just a click of a button so that you can customise the data any way you want. Generating reports from our reports library enables you to spot trends before they take hold and to share management information across your business. "Easy to use, helpful support and opportunity to ask for improvements."